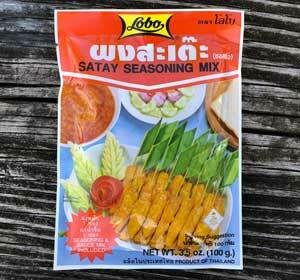 Make authentic, delicious Thai satay (peanut) sauce with this high quality product. 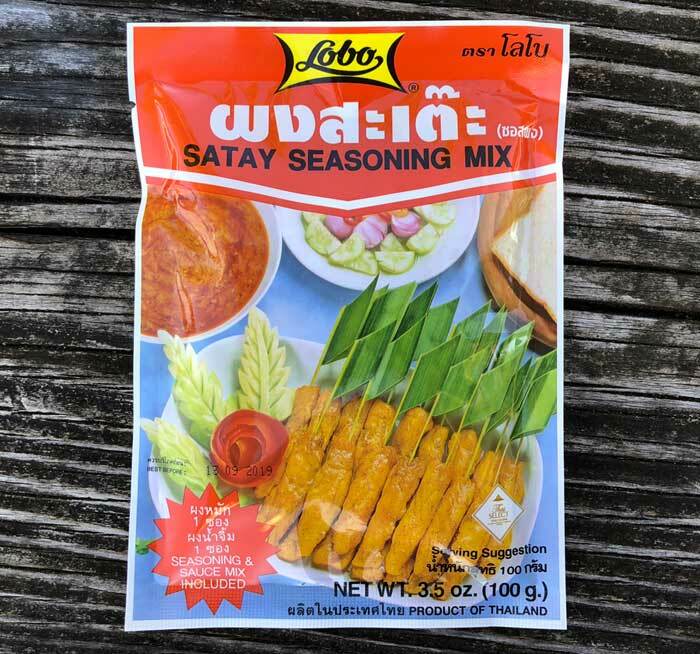 Simply mix with coconut milk. A convenient envelope packet, enough to make one large serving. Inside the package are two small sealed foil envelopes. 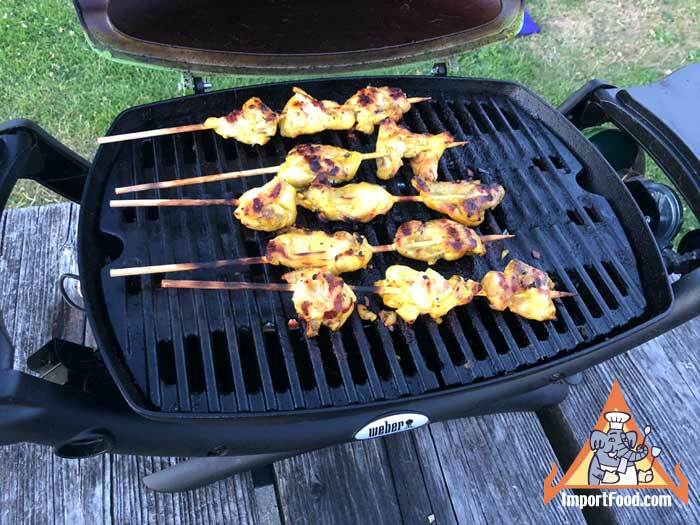 The first one is the marinade powder, empty it into a bowl with a pound of chicken, 2 tablespoons of coconut milk, a bit of vegetable oil, mix and let marinade for an hour. The other envelope is for the satay sauce. Mix that with coconut milk and heat over medium heat until thoroughly mixed. Ingredients: sugar, peanut, corn syrup solid, spices, salt, soy sauce powder, msg, corn starch, malic acid, tricalcium phosphate. Product of Thailand. We also offer a great deal on bamboo skewers for use with this product. You may also like to try our Malaysian satay sauce or Por Kwan satay sauce. 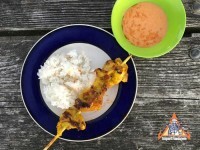 Street Vendor Video: Satay Made By A Thai Street Vendor.